The nights are beginning to draw in as we approach Autumn, and what better way to spend a dark evening than at the flicks with friends and family and a tub of popcorn? 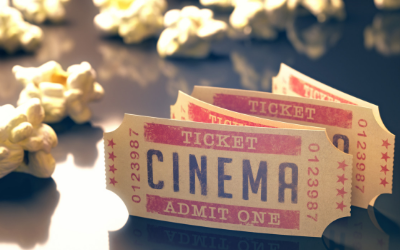 Let’s run through some of the best films showing at Vue at the Plaza at the moment. This latest movie from Disney starring Ewan McGregor and Hayley Atwel is bound to be a family favourite. It’s about a family man, Christopher Robin, who is under pressure from work to cancel his family plans. Luckily, his old friend Winnie the Pooh comes to his rescue! Grab your girlfriends, get your gladrags on and head on down to Vue to catch this feel-good follow up to Mamma Mia. Set 10 years after the original film, Sophie suddenly finds herself pregnant and journeys into her mother’s past to unearth the answers to some burning questions. Stars from the previous movie feature alongside pop legend Cher and, of course, ABBA’s best loved hits. Although this film features puppets (alongside humans!) it’s rated 15, so it’s for the older members of the family. It stars the hilarious Melissa McCarthy and is directed by Brian Henson, son of legendary Muppets creator Jim Henson. This is not Muppets as you know it though – when members of the puppet cast from a 1980s children’s TV show are murdered one by one, a disgraced puppet private eye takes on the case. This American thriller tells the story of when David Kim (John Cho)’s 16-year-old daughter goes missing. David undertakes his own investigation via the technology devices we all use every day to communicate, tracing his daughter’s digital footprints before she disappears forever. Don’t forget that you can still catch any of these films for £4.99 and for just £3.99 on Super Mondays! Vue are also running an offer in collaboration with EE which gets you 20% off an all-inclusive family ticket. No cinema trip is complete without a slap up meal, so pop into one of the restaurants at Broad Street Plaza and treat yourself to delicious food and drink and a good old catch up with friends and family.